Fragranced with jasmine & ylang-ylang. 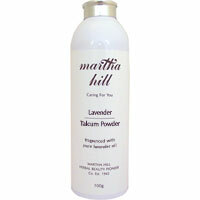 This light, wonderfully silky, talc free powder leaves skin smooth and comfortable. The soft, heady fragrance blend of sweet mimosa, jasmine, sensuous yland-ylang and spicy juniper leaves skin delicately fragrant. Dust over body after a bath or shower. Complete your body care routine with the beautifully fragrant Mimosa Body Lotion. Zea Mays Starch, Magnesium Carbonate, Calcium Carbonate, Parfum (Jasmine Hydrafleur - Acacia Decurrens (Mimosa Absolute) Extract, Juniperus Communis (Juniper Berry Absolute) Extract, Copaifera Officinalis (Copahu) Oil, Cananga Odorata (Ylang-Ylang) Oil), Benzyl Salicylate, Benzyl Benzoate. Talc, Artificial colour, Parabens preservative.